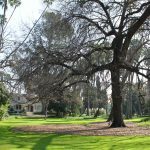 The beauty of the Los Angeles County Arboretum and Botanic Garden dimmed on the day we lost our 150-year-old Tasmanian blue gum near the Queen Anne Cottage. The tree succumbed to disease and drought. 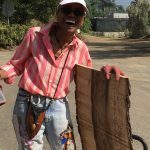 To commemorate the blue gum and other arboreal treasures, wood was distributed to artists who will creatively honor and celebrate the lives of some of L.A’s most spectacular trees. 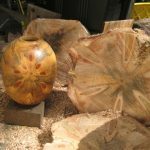 Their one-of-a-kind work will be the featured in the Forces of Nature II exhibit. Rockler Woodworking and Hardware is the presenting sponsor of the exhibit and woodworking demonstrations . Five years ago, our first Forces of Nature exhibit featured art created from trees toppled in the 2011 windstorm. Saturday & Sunday, December 9 & 10, 10am-4pm. 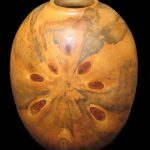 One-of-a-kind art on display at the Forces of Nature II Art Exhibit will be put up for sale, beginning with a special live and silent auction the evening of Friday, December 1. A peek at a selection of art that will be for sale. Hundreds of items will be available. 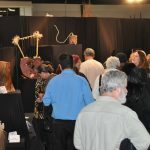 We thank Rockler, Woodworking and Hardware, for its generous support of this special art exhibit.